VACANT - Wilmington River Views in Fishing Village--Thunderbolt ! 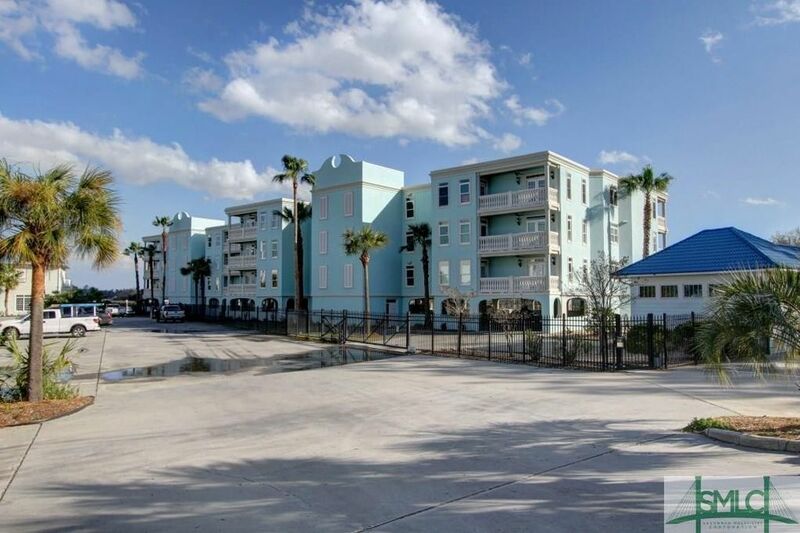 Intracoastal waterway -- Walk to restaurants-and just steps away to marina with wet and dry storage for your boat. Community swimming pool and gym. Covered porch off living room. Kitchen with corian counter tops, new refrigerator and extra beverage refrigerator. Hardwood floors. Exterior renovations just completed. Covered parking under building with 2 spaces. Property is gated and has elevator. Come Home to River Dr in Historic Thunderbolt! Minutes to Tybee Island and Beach--or Historic Downtown. Directions: EAST ON VICTORY TO THUNDERBOLT, TURN RIGHT ON RIVER DR - CONDO ON LEFT - BAHIA BLEU MARINA PARKING LOT.